Alpinists often experience nasty surprises: falling rocks, avalanches, changing weather. The residual risks of climbing are always there – and for many, it ends in death. Those who have fallen in the Matterhorn are fragmented through the force of falling on the exposed rock ledges. The full recovery of the deceased is often not possible. Decades later, the fragments of bodies are often found at the foot of the Matterhorn, and these cannot be correctly assigned to the deceased. 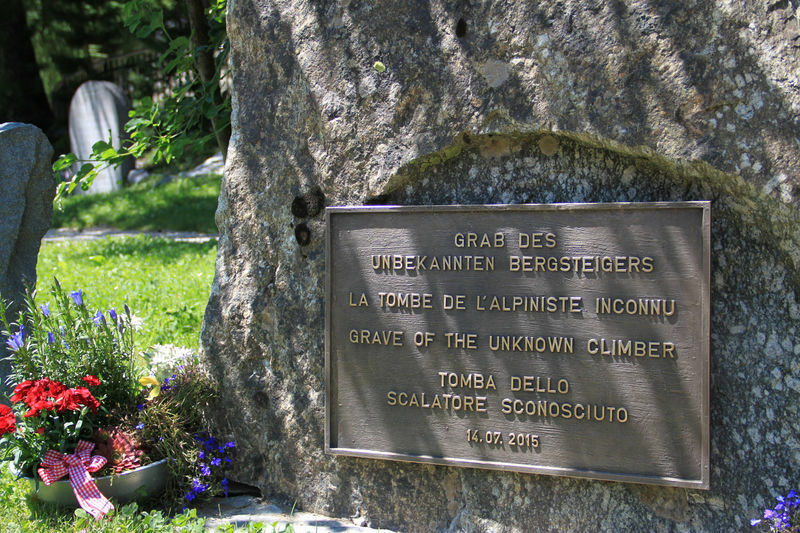 Until today, there are 27 climbers still missing. The Zermatt mountain guide Harry Lauber has often found fragments at the basement of the north face of the Matterhorn. He has assembeld them and made it his responsibility to make this resting place. “Those who are killed in an accident deserve respectful treatment and a place, where their remains can rest in peace,” he emphasises. The grave reminds us of them with words in German, English, French and Italian. 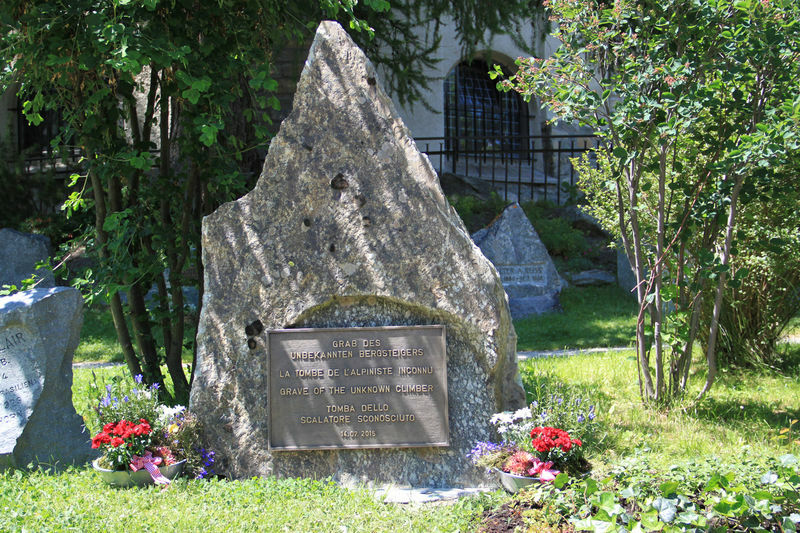 The grave has been established in summer 2015 for the 150th anniversary of the first ascent on the Matterhorn in 1865.